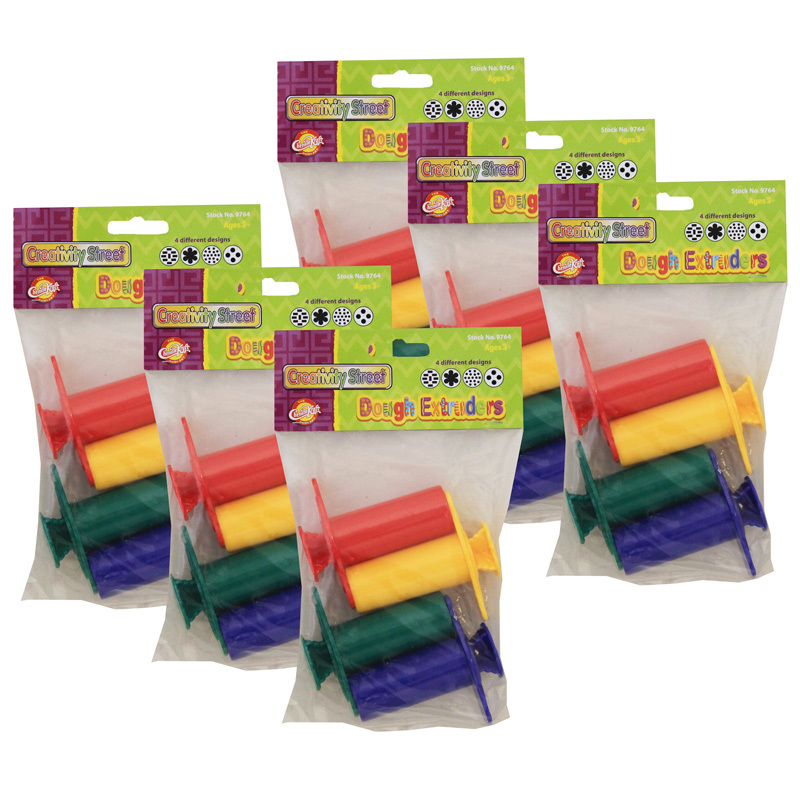 Kids will love these dough extruders from Creativity Street®. Just insert some Creativity Street® dough into the extruder, press down and decorate. Great for adding detail to all dough creations. Only recommended for use with modeling dough. 4 pieces per pack, bundle of 6 packs, 24 pieces total. 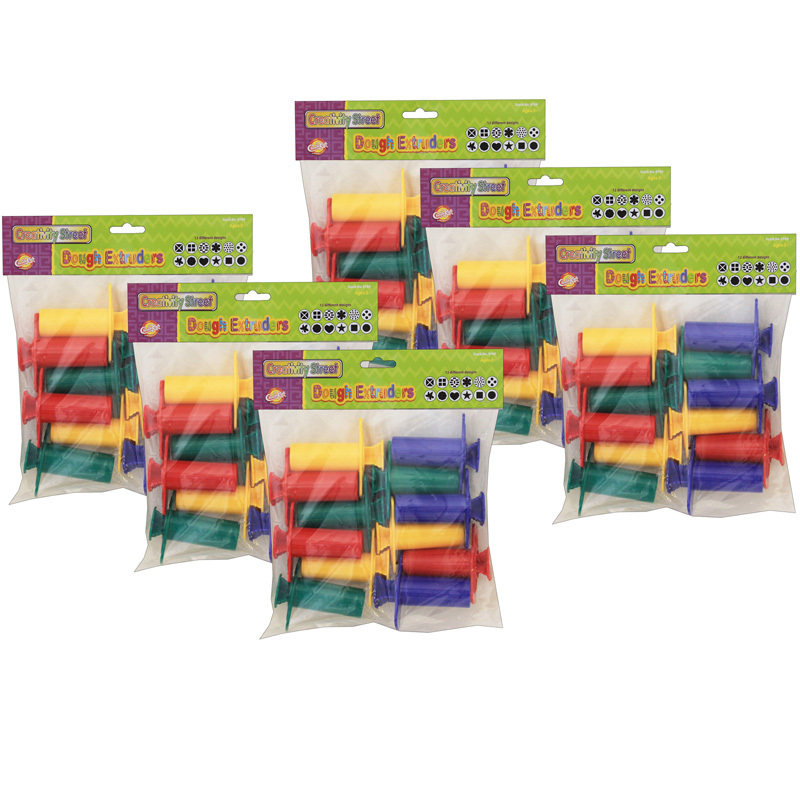 The (6 Pk) Dough Extruders can be found in our Dough & Dough Tools product category within the Arts & Crafts. 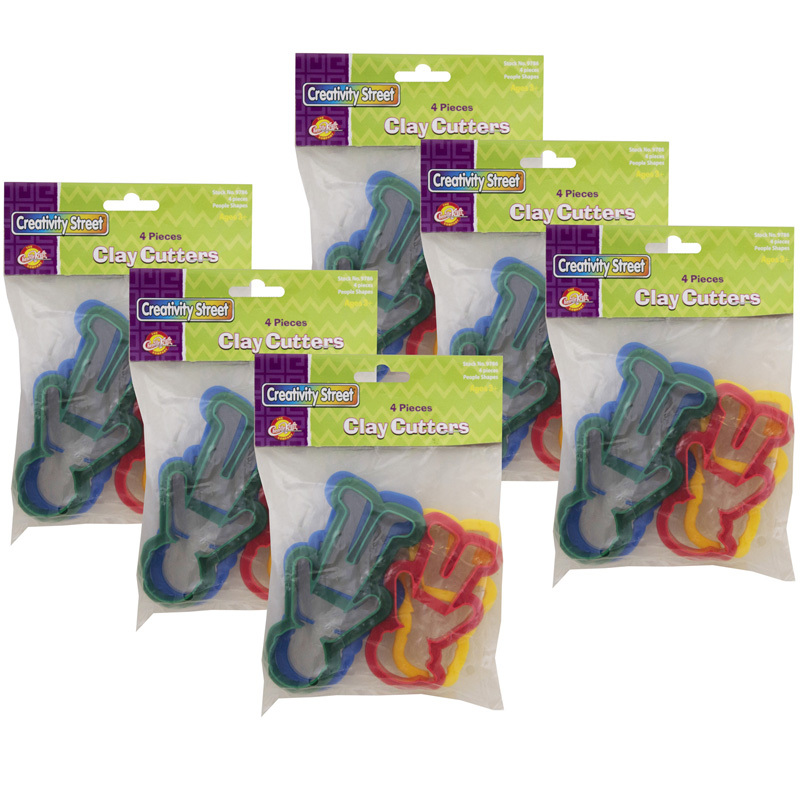 The Family Shapes clay and dough cutter set includes mom, dad, son and daughter. Cutters are approximately 4". Each set includes 4 cutters. Sold as 6 sets for a total of 24 cutters.